The BBC has been trying to figure out a way to work with user-generated content for a long time. But in the past their efforts have pretty much focussed on building their own platforms and editing submissions (as in the interactive Collective culture site.) Now our own Beeb outpost has decided to go the much less complicated (and cheaper) route of getting existing and would-be bloggers on board. They've just launched the BBC Manchester blog. Hmmm.... sounds to me like just the sort of added-value cooperation between citizen journalists and the mainstream media that Jeff Jarvis and Nicky Lemann have been bickering about. What do people think of this? The email on their site doesn't seem to be working yet, but you can use comments to let them know about your blog until it is. UPDATE: That was quick! 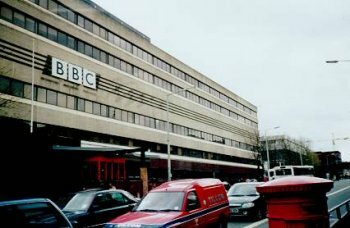 In response to the above, Robin from the BBC Manchester blog has put up a post specifically addressing the "taking advantage of free content" question. It's here. Hmmm...I'm both intrigued and wary of this. I think I might just send them my details anyway and see what happens. Hi James. It will probably bounce back - I've had word that the email address for the blog isn't working properly. We'll get that sorted soon but, in the meantime, just drop your URL into the comments on the blog and we'll find you. Thanks for blogging us Manchizzle, we're glad you noticed us. your link from their site doesn't work manchizzle. have you told robin about the awards? just did - Thanks FFFF! What would happen if no-one was arsed?